As a parcel delivery driver using your personal vehicle for business, your basic auto insurance policy won’t cover you in the event of an accident when making deliveries. As such, you need additional cover for your vehicle and the goods you’re transporting. Generally, personal car insurance policies only cover domestic, social, and work commutes, but don’t cover you when using your vehicle for business. If you deliver parcels or pizzas yourself or require your employees to use their personal vehicles to make deliveries, you will need additional auto coverage in the form of a specialist policy that covers the business use of the vehicle or a “hire and reward” extension to your current auto policy. If all deliveries are made using company-owned vehicles, you need to obtain commercial auto insurance for first- and third-party liability. Business vehicles, especially those involved in delivery, are considered a high risk for insurance companies compared to personal vehicles, because they are always on the road, even in the toughest driving conditions like low visibility, slippery roads, or congested traffic, which increases the chance of accidents. Consequently, liability limits and premiums on commercial policies are considerably higher than for personal policies for the same coverages in order to provide all-round protection for business assets. 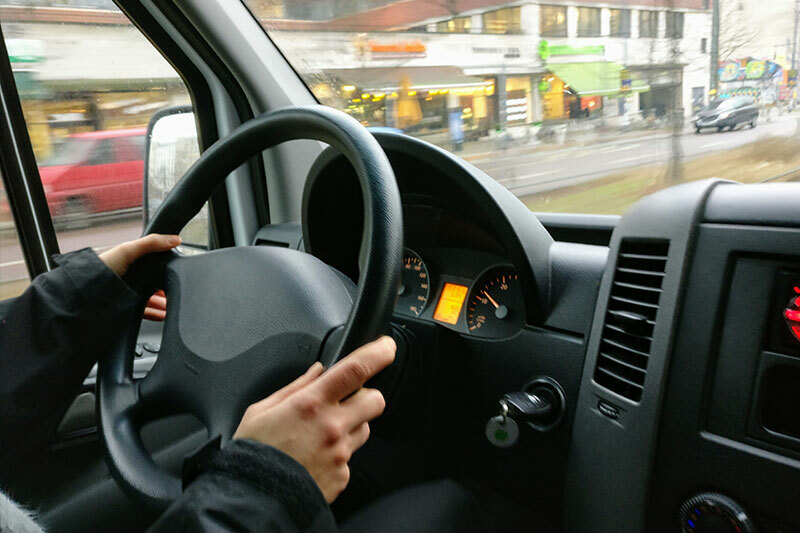 If your employees are allowed to use their own vehicles to make deliveries, you should inform them about the shortcomings of personal auto insurance for vehicles used for business. Encourage them to buy commercial auto insurance to ensure they’re protected in the event of injuries, damages, or lawsuits. If your delivery business depends on employee vehicles, you can reduce the insurance burden on your employees while protecting them from liability by buying non-owned auto insurance for third-party liability coverage, while the drivers remain accountable for themselves and their cars. While parcel delivery companies cannot avoid the cost of commercial auto insurance, they can enjoy lower premiums by employing safety measures to reduce risks. For instance, you should check the driving records of driver applicants before hiring them. To speak with one of our parcel delivery insurance agents about commercial auto coverage, please call our office @ 818.465.7860 or simply fill out our online quote request form and we will respond promptly. This entry was posted in Auto Insurance and tagged commercial auto insurance, parcel delivery business, parcel delivery insurance. Bookmark the permalink.